Are you trying to find an ancestor in the census but can’t find their record? There is more than one way to resolve this issue and find your ancestor. Interested? I’m blogging about my great-grandfather in a series of posts entitled, “The Tragic End to the Life of John Anderson Roberts”. I’ve never been able to find an 1870 census record for him. But while preparing to write these blogs, I reviewed all the documents I have in my files and discovered a wonderful fact. The Kentucky marriage license of his daughter Cornelia Ann to J.B. Lassiter has a blank preceded by the word “at”. And in this space an official wrote “J A Roberts”. Combine this with the “of” and “on” filled in blanks and I know the J.A. 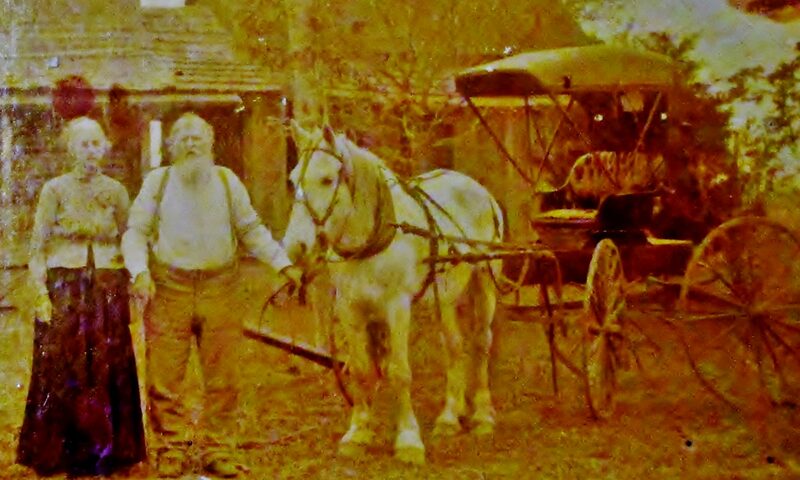 Roberts place was in Calloway County and he was living there on October 30, 1870. Thank you Calloway County! Ancestry.com. Kentucky, Marriage Records, 1852-1914 [database on-line]. Provo, UT, USA: Ancestry.com Operations Inc, 2007. Original data: Kentucky. Kentucky Birth, Marriage and Death Records – Microfilm (1852-1910). Microfilm rolls #994027-994058. Kentucky Department for Libraries and Archives, Frankfort, Kentucky. Here’s what we may learn from this fount of information. Now, that’s what I call a marriage record! Thanks Kentucky! Here’s some of what I learned from this record. S.B. (Sarah Belle) Roberts, the daughter of Newton Roberts and Sarah Jane Giles, is sixteen years old on January 4, 1877. So she was born in Calloway County in about 1861. Her mother and her father were born in Tennessee. They married at the N. Roberts place on this date. We may therefore infer the Newton Roberts family was in Calloway County in 1861 and in 1877. I have no reason to believe they were anywhere else during those “missing years”. No wonder I couldn’t find them! They were hiding plain sight. Maybe they were away at “camp meeting” when the census-taker came. By the way, the same information for C.S. (Clement Smithson) Roberts is available in this record. Notice where their daughter’s marriage takes place. 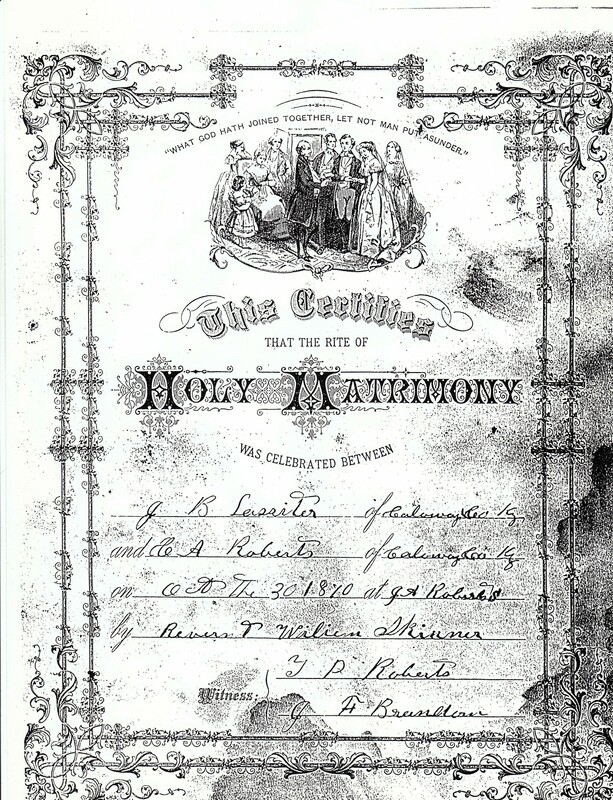 From this record and the Lassiter’s marriage license we recognize a marriage pattern among the Roberts daughters for this period in our family history. They appear to celebrate their marriage vows at the residences of their father’s. I hope if your relative’s missing from the census records, they were in Kentucky between 1852 – 1914. If not, don’t give up. Think creatively. There are many ways to imply or establish residency. Happy backtracking! *Don’t miss a tip, suggestion or story. Sign up for regular updates every time we post. It’s simple and free. Use the “Follow” button at the top. Find us on Facebook as well.